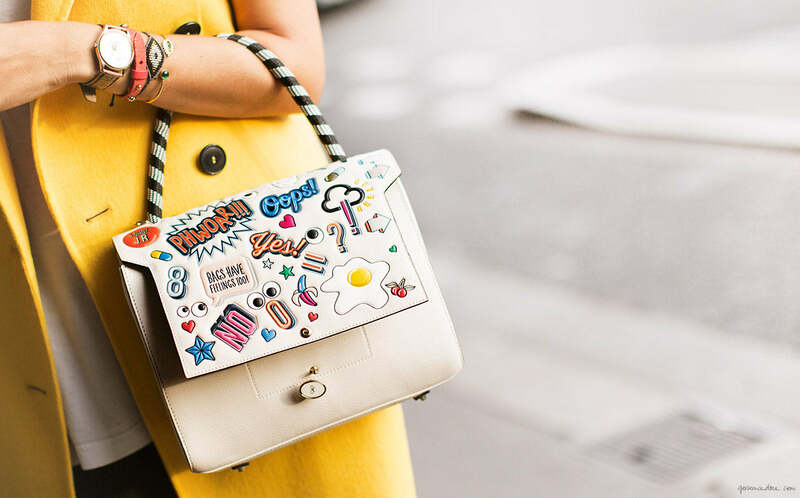 Spotted straight from the spring runway, one of Anya Hindmarch’s stickered-up satchels– you remember the leather stickers she also created, right? I think what I love most about this bag is that it reminds me of the notebooks I would cover in stickers and doodles when I was in school. A little bit of nostalgia never hurt anybody, right? Well, that’s just adorable! A smidge busy for my taste, I wouldn’t be able to afford something in this price point that I couldn’t wear every single day. This can go on my “when I have a million dollars” wish list. Love this bags designed by “Anya Hindmarch”. She’s very creative and most important love the idea of personalization.